It's just as easy to tell the summer movie season is over by the rush of prestige pictures October begins to bring as it is by the appearance of teaser trailers for the next summer movie season. Still, besides some of the teases we received at Comic-Con this year we haven't really seen much of what we'll be getting at the cinema in the summer of 2017. 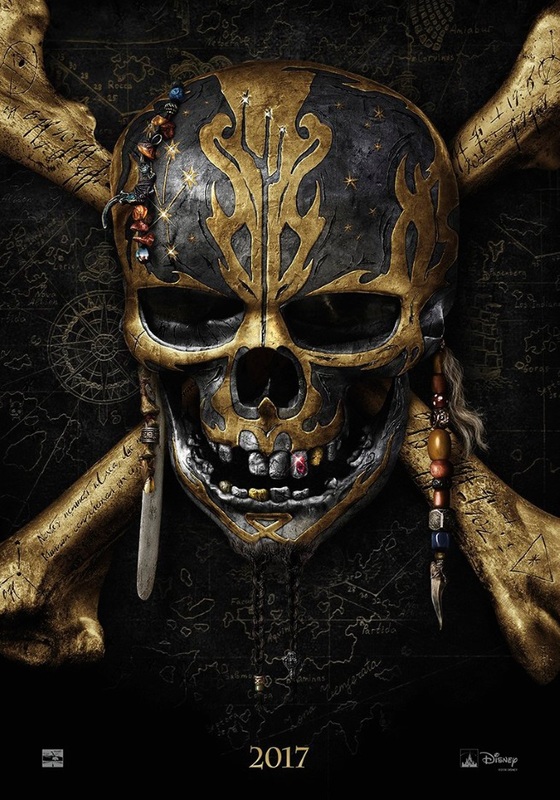 That all changes as Disney has released a two and a half minute teaser for the fifth installment in their massive Pirates of the Caribbean franchise. While generally a fan of the original trilogy I can hardly remember much of anything about Rob Marshall's 2011 continuation On Stranger Tides. All of that said, this latest installment that is once again produced by Jerry Bruckheimer has courted directors Joachim Rønning and Espen Sandberg who are the duo behind the foreign adventure film Kon-Tiki from 2012 which was (not coincidentally) about a 1947 expedition by raft across the Pacific Ocean from South America to the Polynesian islands. Though this initial teaser doesn't give much by way of story and we don't see Johnny Depp's Captain Jack Sparrow except for on a Wanted poster we do get our first glimpse at Javier Bardem's Captain Salazar that is apparently out to deliver death to Depp's Captain Jack by way of Brenton Thwaites' Henry who is definitely not Sam Claflin's Philip from the previous film. And while little more of the story is known than what this teaser tells us the script comes from Jeff Nathanson who has penned movies ranging in quality from The Terminal and Tower Heist to Indiana Jones and the Kingdom of the Crystal Skull and Rush Hour 3 so make of that what you will when considering what we could potentially be in store for here. Pirates of the Caribbean: Dead Men Tell No Tales also stars Orlando Bloom, Kaya Scodelario, David Wenham, Geoffrey Rush, and...Paul McCartney? Apparently we'll get Beatles over the Stones in this latest installment that arrives in theaters on May 26th, 2017.